The Edinburg Municipal Court has released the probable cause affidavit tied to the arrest of a now-former member of state Rep. Terry Canales’ staff. The affidavit’s release came Friday, a day after the Edinburg Police Department sought the Texas Attorney General’s opinion to withhold the document. 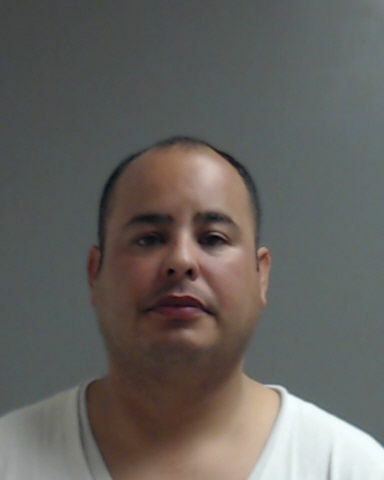 Edinburg police arrested the former staff member, Alejandro Rios, on Wednesday on an injury to a child charge, a third-degree felony, stemming from an alleged incident that took place at his childcare center involving a child 14 years old or younger, according to the affidavit. Rios, 38, worked as Canales’ district director from 2013 until Oct. 5 of this year, and was terminated due to Canales’ “zero tolerance” policy for his employees. According to the affidavit, a parent met with police on Sept. 11 to report an injury that had occurred to her son at Kids Kollege Learning Center on Sept. 7. When the mother picked up her son, one of the teachers “advised her to ask (redacted name) what had happened to him,” since the child had marks on his neck.” The child subsequently told his mother “that teacher Alex had grabbed him by the neck,” the affidavit states. The teacher also told police investigators she witnessed the incident and that the child later told her about it. “…She was walking her children to the playground and heard (redacted name) scream very loud, so she turned and witnessed Alex Rios put his right hand on (redacted name) throat area, causing his head to jerk back,” the affidavit states. Edinburg Municipal Court Judge Toribio “Terry” Palacios issued Rios a $25,000 personal recognizance bond. Rios was released from jail Wednesday evening shortly after being booked, according to jail records. Lt. Oscar Treviño, Edinburg police spokesman, said Friday that the case remains under investigation and nothing has been turned over to the Hidalgo County District Attorney’s Office yet. Rios was also under investigation by the Texas Health and Human Services Commission “for an issue dealing with his personal business,” according to a statement Canales released following Rios’ arrest. Canales administratively suspended Rios Sept. 28 upon learning of the state’s investigation.